Home » The Christian Spirit » Did Lewis Like Americans? On the very first page of The Narnian: The Life and Imagination of C. S. Lewis, author Alan Jacobs tells the story of a precocious “Jack” Lewis, probably no more than eight years old at the time, entering his father’s study to make this following pronouncement: “I have a prejudice against the French.” Naturally, his father, Albert, wanted to know why his younger son would have such a definite opinion. 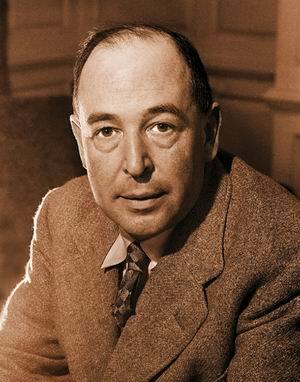 The answer he received is perhaps an indication of the astute reasoning that would continue to be a hallmark throughout C. S. Lewis’s life: “If I knew why,” he calmly asserted, “it would not be a prejudice.” Early on, then, it appears that Lewis had a clear understanding of the unreasonable nature of coming to conclusions about people without evidence. I have to amend Como’s words slightly. Lewis did make some disparaging remarks about America and Americans, but most of those seem to have emanated from a young Lewis, mostly prior to his conversion. I’ve spend the past few months examining his letters to Americans and have found, quite often, gratitude for all the gifts he received in post-war, rationed Britain, and the obvious connections he made with Americans. Let us suppose that when you were two years old your father slapped your hand to prevent you putting it in the fire, and you said to your mother, “Don’t like Daddy!” Would you, or would you not, be a fool to allow that statement to stand for your settled belief about your father? 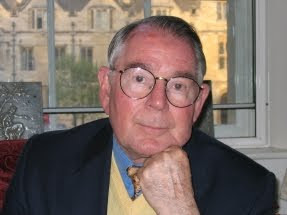 Well, there was a man who used to write a lot about Lewis who used a chance, ignorant comment Lewis made as an 18-year-old student about Oxford dons to stand for— as this man did—for “Lewis’s Belief About Oxford Dons.” To accept that as Lewis’s opinion on Oxford would be as ignorant and foolish for someone to regard “Don’t like Daddy!” to be regarded as your settled opinion about your father. Lewis himself drew my attention to another illustration of ignorance that needs unmasking. I forget where it is, but Jonathan Swift, the Irish writer, when asked if he liked or disliked the Irish, the English, the Japanese, etc. etc, pointed out that he didn’t know all the Irish people, so how could he possibly know where he liked or loathed them. Of course, like nearly everyone else, some Irish he liked, some he didn’t. And so to Lewis, who I think must have liked many, many Americans considering that roughly three-quarters of his letters were to them. One of them to whom he wrote to for years, Mary Willis Shelburne . . . he provided with a pension, paid for by his American publishers. And as we all know, he married an American, and—hardly of similar importance—he made another his secretary. This study has been fascinating. I hope a book does result from this so I can share with all what I have found.